Get your wardrobe overhaul with this polo T-Shirt, which is brought to you by Vettorio Fratini. 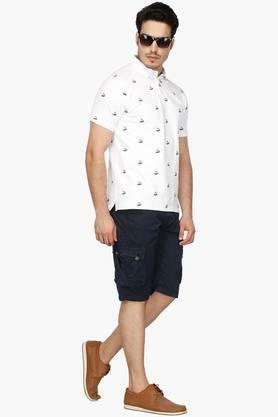 Tailored with care using a superior quality fabric, it will keep you comfortable all day long. Moreover, it features a print pattern that renders it trendy. 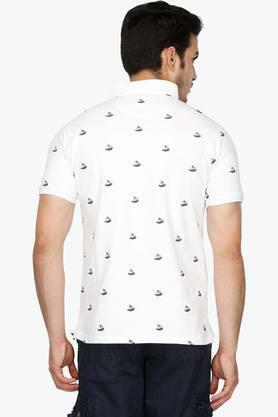 It also has a short button placket at the front that makes it convenient to wear. 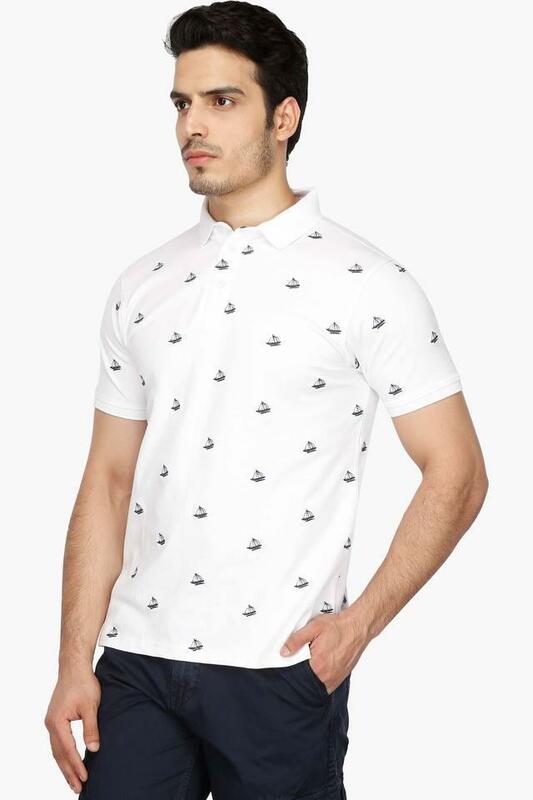 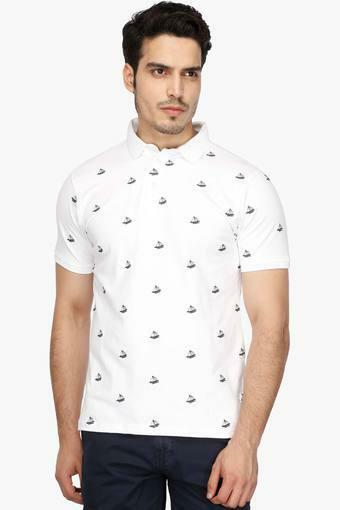 You can wear this polo T-Shirt with a pair of jeans and slip on shoes for any casual outing with friends. Made of a good quality fabric, it is quite comfortable to wear.